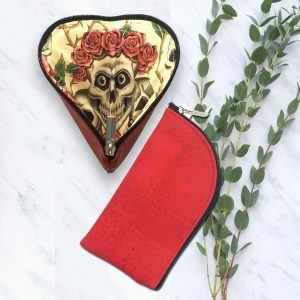 A charming, super cute and functional coin and/or card holder meant to minimize bulk. Easily fits your license, work ID, credit cards, cash and other small items. Run to the store without your larger purse. There’s even added room for your lip balm. 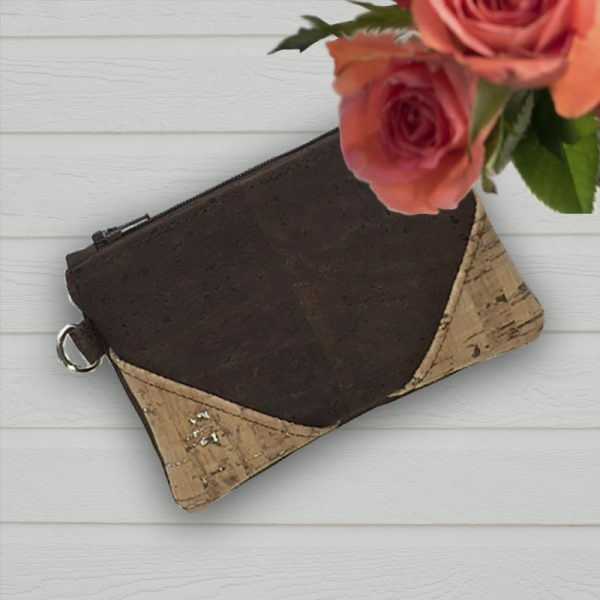 Why not slip this pouch inside your smaller clutch bag for even more organization? A natural, eco-friendly compact pouch, Studio Auckland’s Zinfandel Coin Pouch is a real cutie. 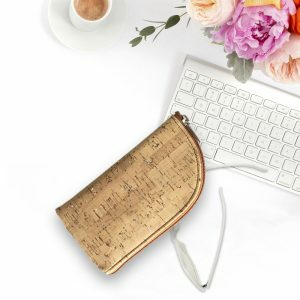 Made from the bark of the cork oak tree from Portugal, your new accessory will keep you organized no matter how you choose to use this classic item. The inside of the pouch is lined using the finest coordinating cotton fabric.